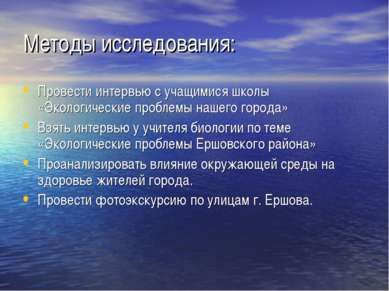 Цель проекта: Изучить экологические проблемы г. Ершова Разработать обращение-призыв к жителям города « Чистота города зависит от нас!» Оформить буклет «Мусор – главная проблема нашего города». 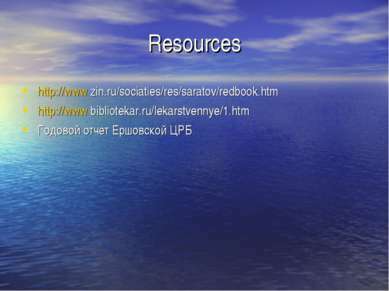 Методы исследования: Провести интервью с учащимися школы «Экологические проблемы нашего города» Взять интервью у учителя биологии по теме «Экологические проблемы Ершовского района» Проанализировать влияние окружающей среды на здоровье жителей города. 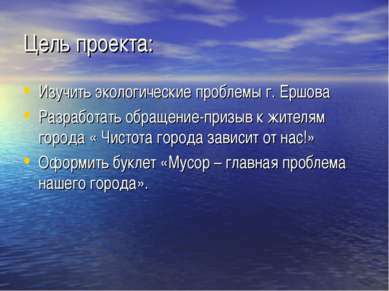 Провести фотоэкскурсию по улицам г. Ершова. 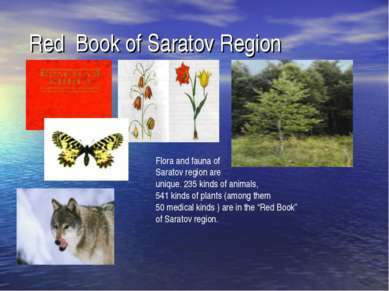 Red Book of Saratov Region Flora and fauna of Saratov region are unique. 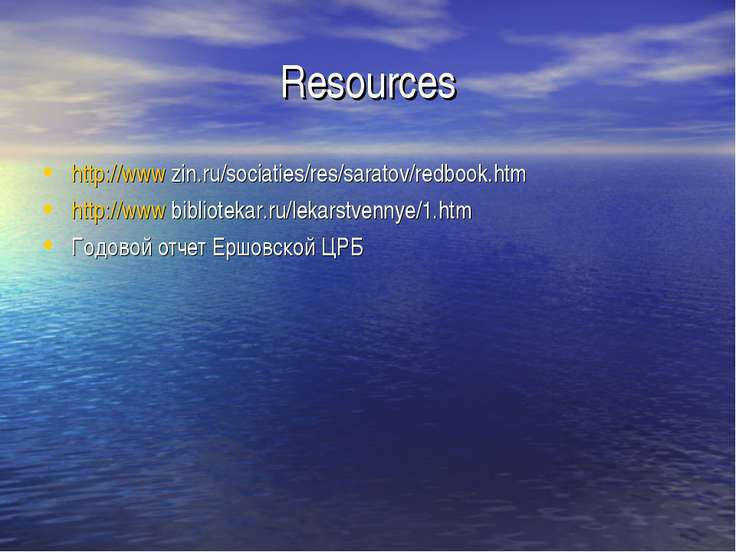 235 kinds of animals, 541 kinds of plants (among them 50 medical kinds ) are in the “Red Book” of Saratov region. 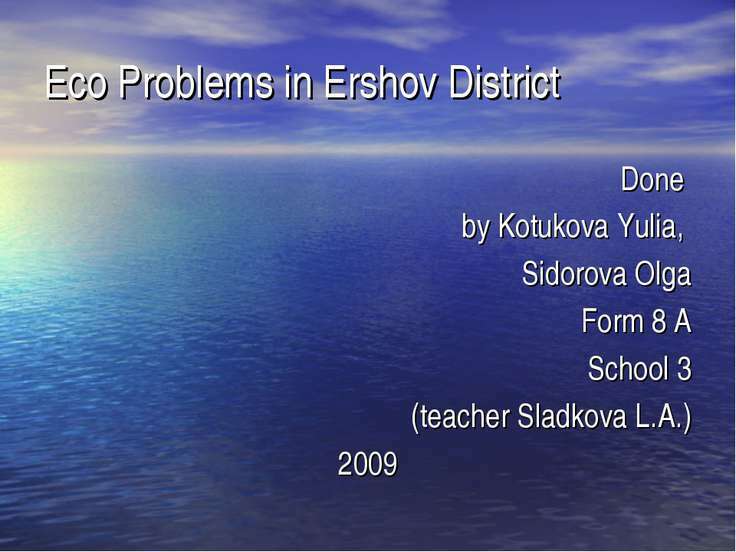 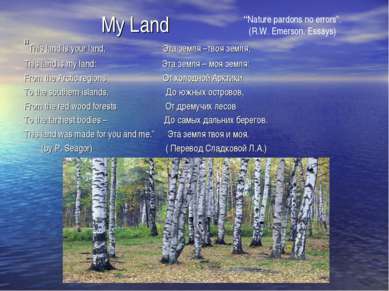 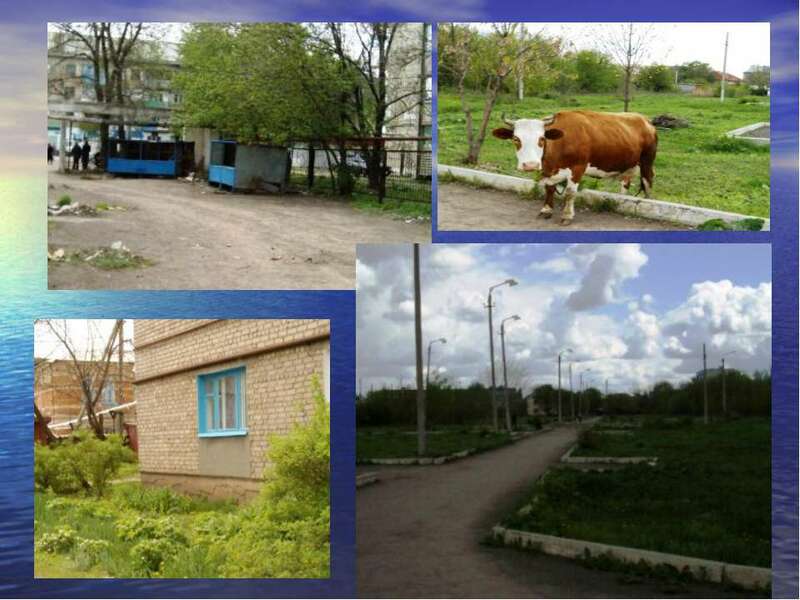 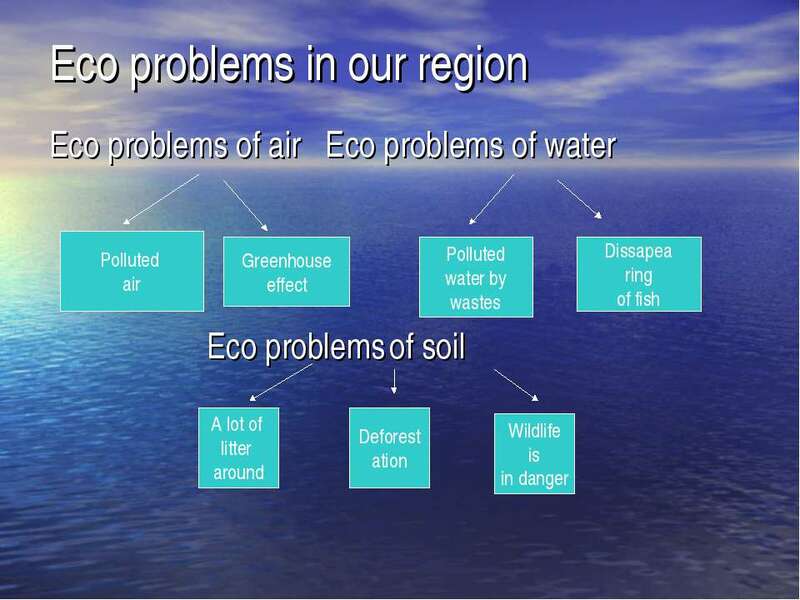 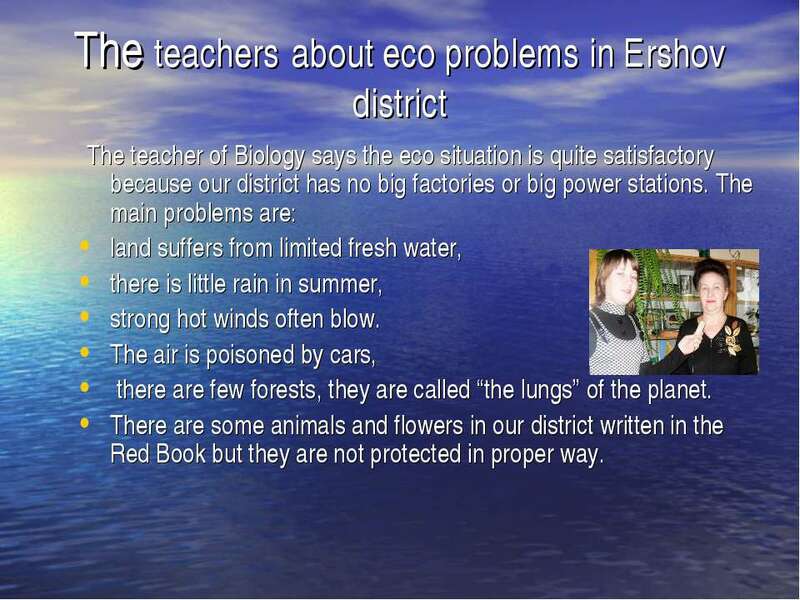 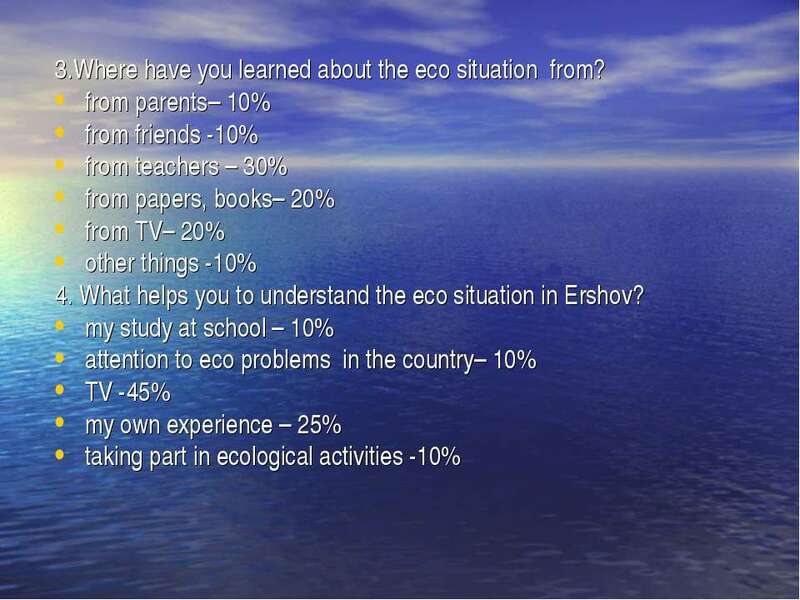 The teachers about eco problems in Ershov district The teacher of Biology says the eco situation is quite satisfactory because our district has no big factories or big power stations. The main problems are: land suffers from limited fresh water, there is little rain in summer, strong hot winds often blow. 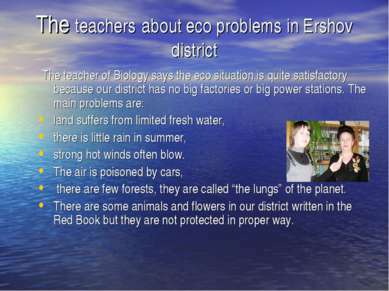 The air is poisoned by cars, there are few forests, they are called “the lungs” of the planet. There are some animals and flowers in our district written in the Red Book but they are not protected in proper way. 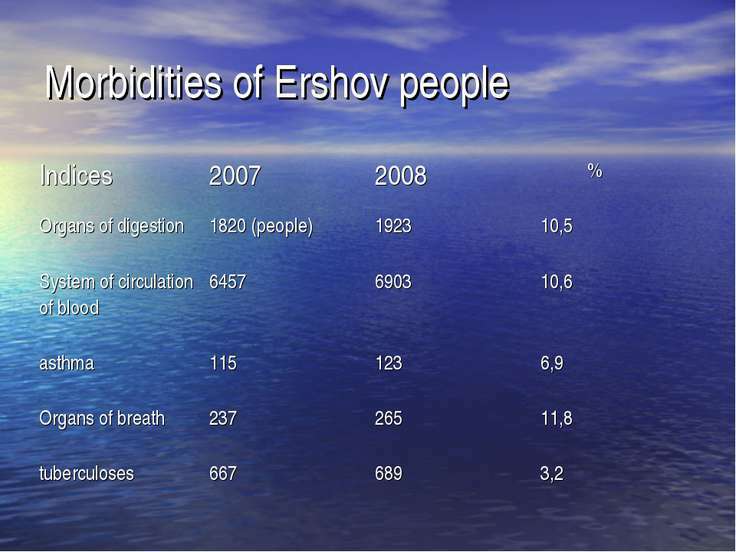 Eco problems in Ershov Litter is a health problem. 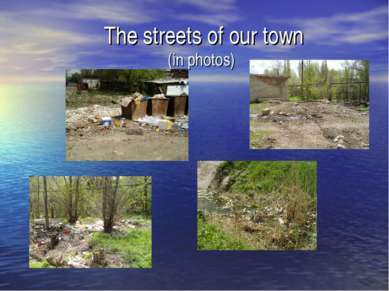 Litter makes the town look dirty, and it spoils the view. The ponds in the town are badly polluted. 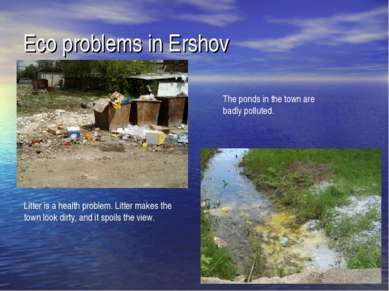 How to solve the problems All people of our town should take care of Ershov. Children can help them. T Everyone shouldn’t leave litter on the streets, on the places of rest and our home town will be clean and beautiful..
We are in charge of our town In spring the Mayor of Ershov organizes “cleaning up days”, but it isn’t enough. People throw away rubbish in the street. 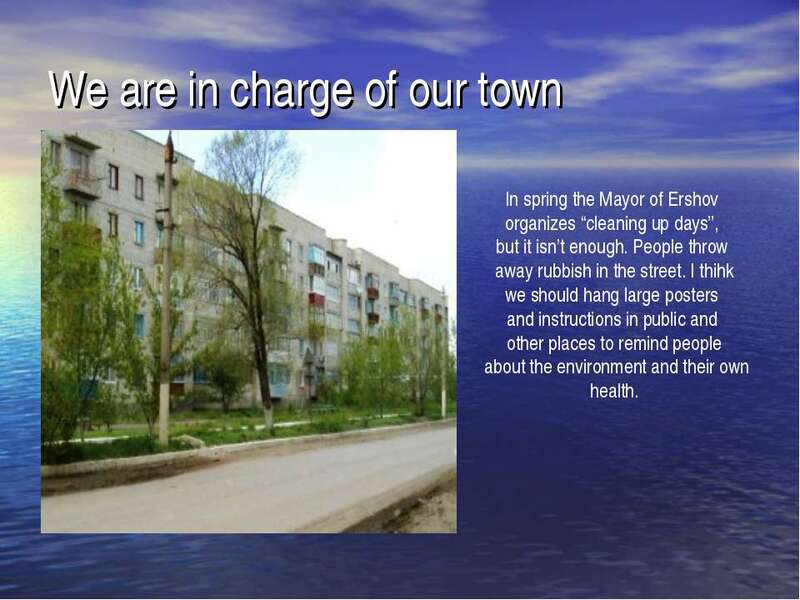 I thihk we should hang large posters and instructions in public and other places to remind people about the environment and their own health. 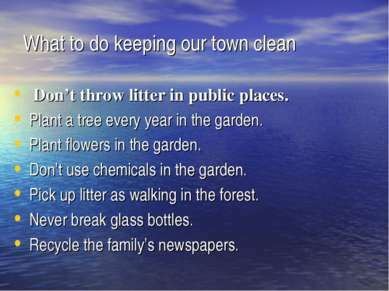 What to do keeping our town clean Don’t throw litter in public places. 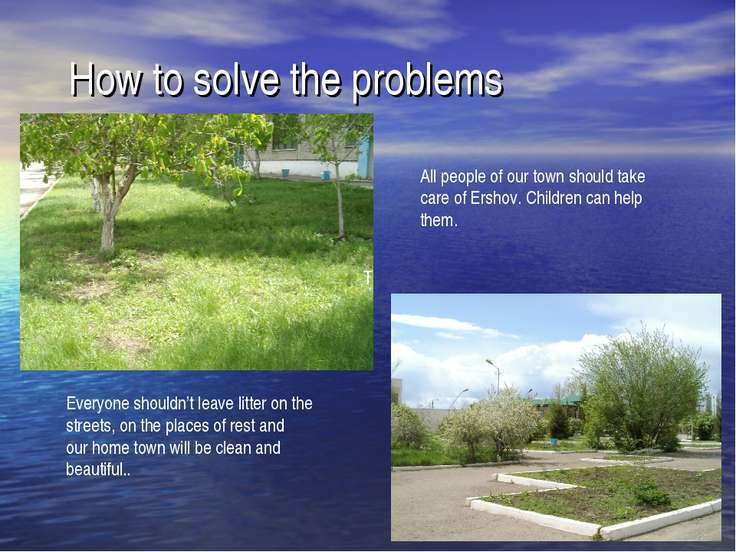 Plant a tree every year in the garden. Plant flowers in the garden. Don’t use chemicals in the garden. Pick up litter as walking in the forest. 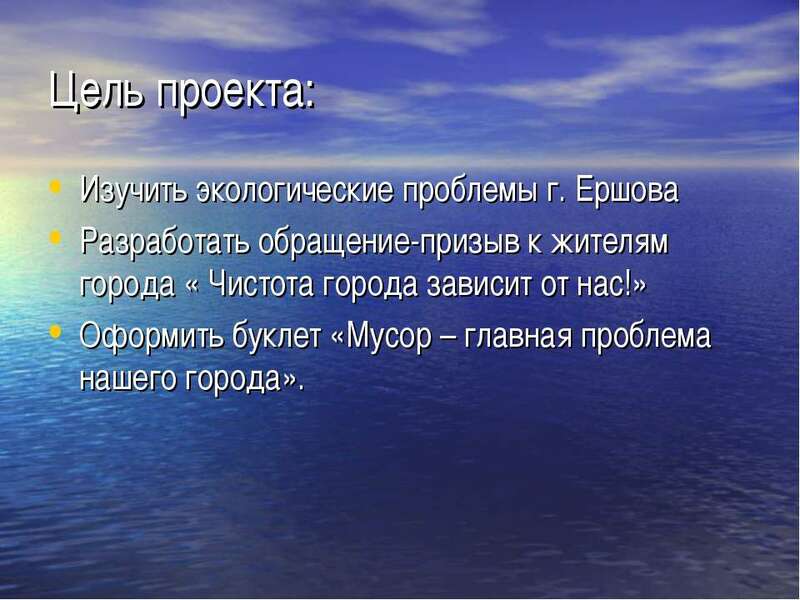 Never break glass bottles. Recycle the family’s newspapers. 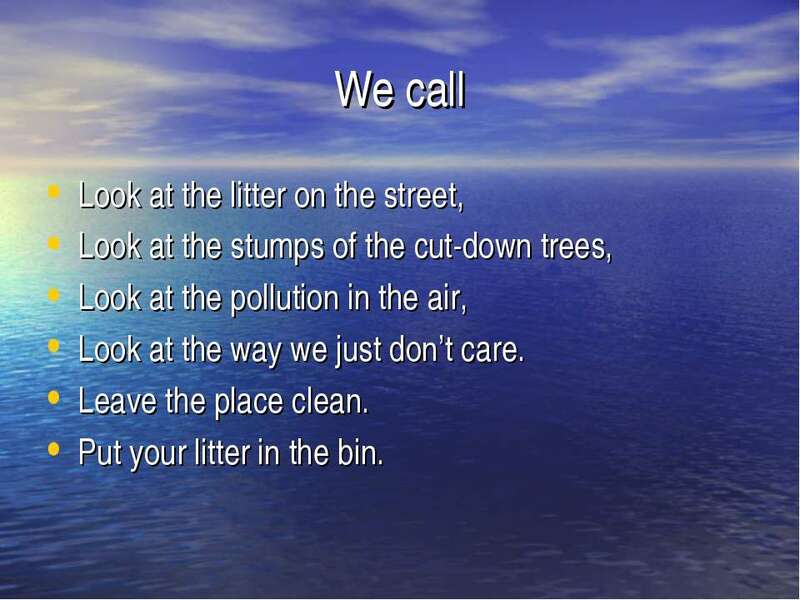 We call Look at the litter on the street, Look at the stumps of the cut-down trees, Look at the pollution in the air, Look at the way we just don’t care. 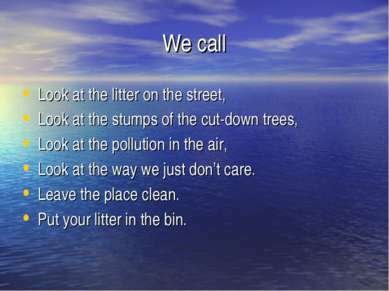 Leave the place clean. 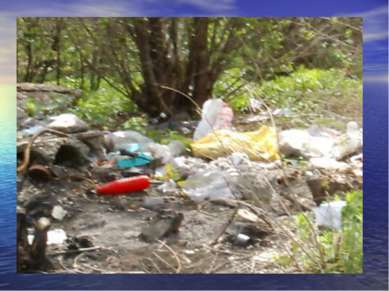 Put your litter in the bin.